is not old school carnival cotton candy. Sugarsmith Cotton Candy is an experience from beginning to end. Our cotton candy begins with organic cane sugar. There is no red dye number 5 or weird artificial flavorings. No way - our colors and and our flavors are natural and/or organic. And we spin that sugar into cottony poufs fresh, right in front of your eyes. But we don’t finish there. Nope. Each pouf then gets the star treatment as it is topped with edible glitter, sprinkles or other perfectly paired - and super fun - toppings. Don’t be surprised if you feel the need to take a selfie with your pouf before eating it. Pretty much everyone does. The Sugarsmith Cotton Candy Cart experience is available for events of all sizes - weddings, corporate events, showers, or birthday parties. Really, wherever the party is, we want to be there for you! We currently serve the Madison and Milwaukee, Wisconsin areas. However, we are willing to travel wherever our cotton candy cart is needed. Additional travel fees will apply. Click the button right above to get in the know about new flavors, pop up appearances, sales & other sweet awsomeness. We totally don't share your info with anyone. All flavors begin with organic cane sugar. Some are served with pre-selected toppings perfectly paired for your palette. (Say that three times fast!) And some flavors, well, you get to make the magic happen darling! You will select toppings to make that cotton candy pouf all yours! Sounds magical you say? It totally is. Dreaming of a flavor that you do not see here? Just ask! There are endless flavors and flavor combinations available. We love to make your cotton candy dreams come true. Have an idea not listed? Just Ask.! Perfect for most children's birthday parties, wedding and baby showers, bachelorette parties, and smaller gatherings. Perfect for cocktail receptions, medium size birthday parties and other celebrations, and small corporate events. Perfect for corporate parties, wedding receptions, big birthday bashes, large family reunions. Perfect for large weddings, large corporate events, school and community events. Also available from Sugarsmith are party favors. 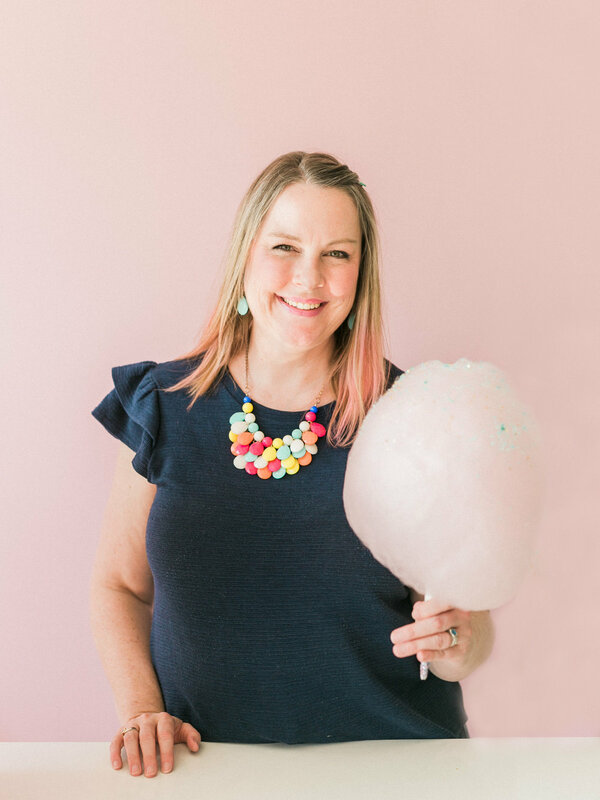 Cotton candy tubs in a variety of sizes, push-up pops, mini-poufs, mason jars, and cotton candy cakes are just a few of the items available as party favors. Pricing begins at $3 each. Minimum order quantities vary by favor type. Custom labeling is available for an additional fee. Favors can be shipped. Contact us to schedule your personal consultation or reserve the date for your special event. Just like our cotton candy cart experience, we love to bring a modern twist to a nostalgic party staple. 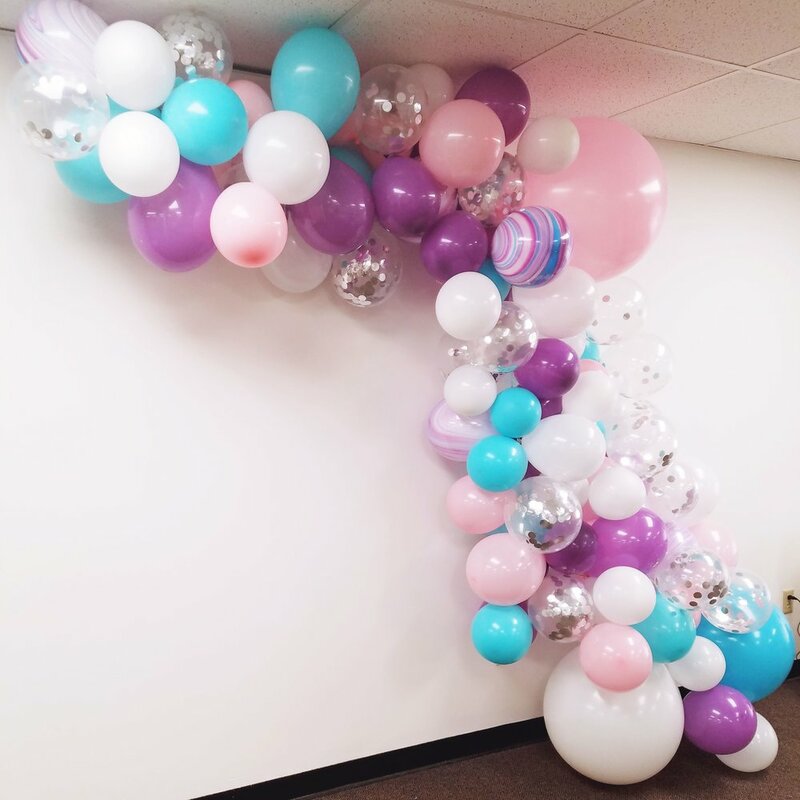 Sugarsmith creates modern, organic balloon decor for any size celebration. 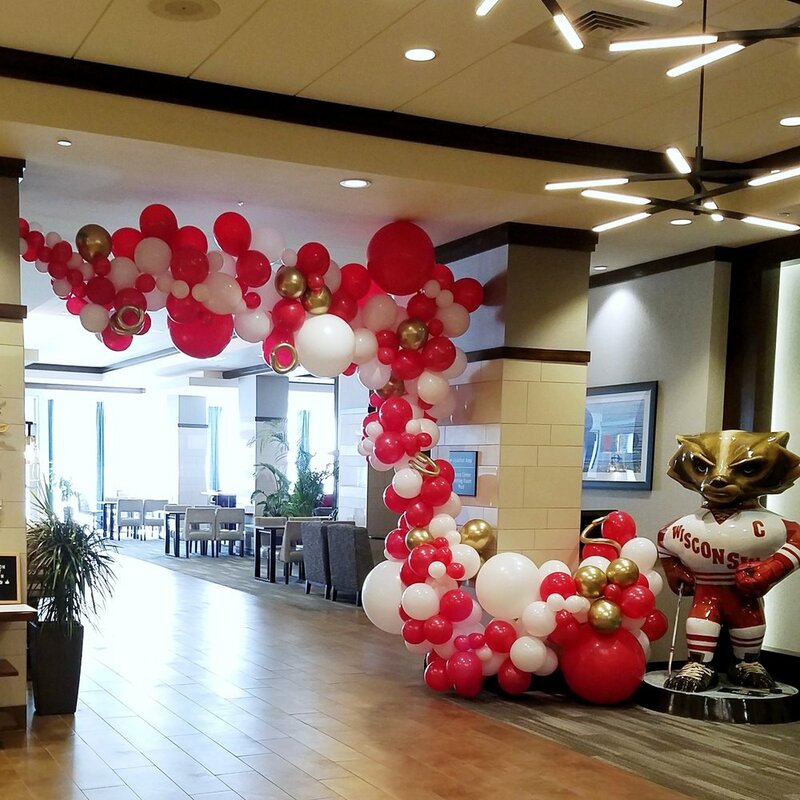 We take pride in using the highest quality balloons to create gorgeous, unforgettable balloon installations that last and last and last. From the simple to the ornate, we love to bring our clients’ ideas to life! I’m Jo, head twirl girl and chief balloon enthusiast here at Sugarsmith. I love to make pretty things. I love to laugh and have fun and celebrate and have adventures of any size. And I love to bring people joy. And that. my friends, is how Sugarsmith came to be. I get to make gorgeous poufs of magical cotton candy and fabulous balloon decor for people. And it brings them joy. I am also a wife to Mr. Sugarsmith, Mama to one boy, one girl, and two crazy pugs. I am a daughter, a sister, an aunt, a friend and a dreamer. Oh and I have been called a unicorn a time or two. Gotta love that. Have questions about our services? Want to check availability or schedule a tasting? Please fill out the form below or call us, we would love to talk with you!